1. The first thing I learned: I always accumulate a long list of things I learned when I travel. This month, we traveled. 2. The DC cherry blossom scene is for real. This month my whole family headed to Washington, DC for spring break. I’ve always heard DC is lovely in the spring when the cherry blossoms are in bloom. Well. 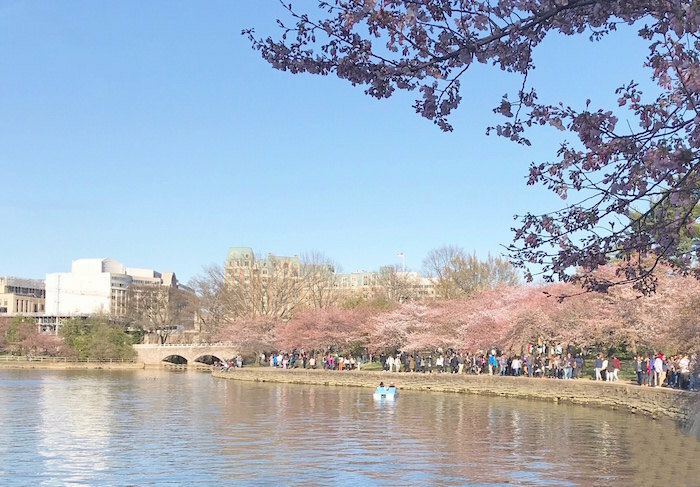 When we planned the trip (on short notice, in typical fashion) we didn’t realize just how big a deal the Cherry Blossom Festival is, or that we’d timed our visit to coincide with peak bloom—which is gorgeous, and also draws unbelievable crowds to the city. I hate crowds, and that might have scared us off if we’d known. But we didn’t, so we enjoyed the blossoms. 3. There is one thing that can make me wish I had a long commute. I’m usually emphatically grateful not to spend lots of time going back and forth to work every day. But I regularly hear from What Should I Read Next? listeners that their daily commute does great things for their reading life, and when we were in DC zipping around on public transit I experienced that for myself. I wasn’t sure how much reading I’d get done on our busy family vacation, but I forgot about the time we would be spending on the train. And WOW can I read a lot on the train. I don’t really wish for a long commute … but I can see why if you’re a reader, you might not hate it. At all. 4. The Library of Congress is the largest library on earth. A few impressive stats: 838 miles of bookshelves, 167 million items, among them 39 million books, 14.8 million photographs, 5.5 million maps, 8.1 million pieces of sheet music and 72 million manuscripts. Also, it’s gorgeous. This wasn’t high on my list of DC must-sees (can you believe it?) but I’m so thankful my daughter’s history teacher put this on her radar. Totally worth the visit. 5. Bonsai is amazing. Surprise, more from DC. Before we visited the National Arboretum, I thought “bonsai” meant using hedge clippers to trim bushes into animal shapes. Silly me. 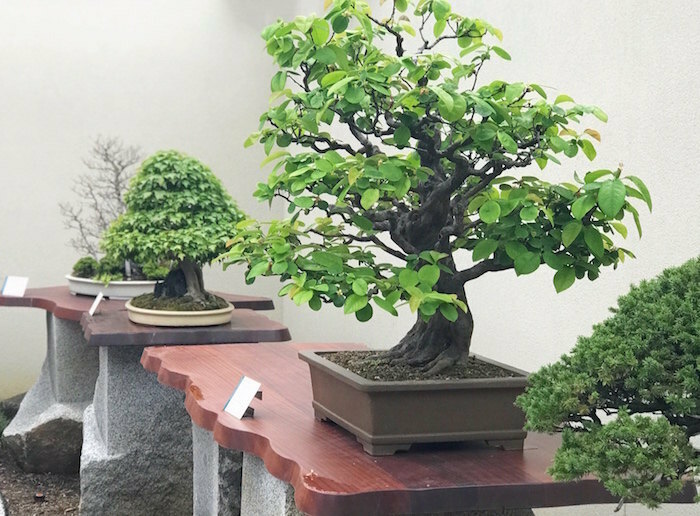 These are miniature trees that have been trained and pruned to grow in pots, and thankfully the welcome desk volunteer urged us to go see the Arboretum’s amazing bonsai collection. My whole family was mesmerized. Prince’s sound engineer was there when he wrote it, and she recently speculated as to why Prince didn’t release the song himself back then, saying its origins weren’t really about a breakup but about his housekeeper leaving his employ to take care of her sick father—and that connection was too personal to put on his own album. Since then, I’ve noticed this more and more in the new books I’m reading. Marketing books are filled with yellow highlighter. A new advance review copy came in with a thoroughly underlined and highlighted back cover. Have you noticed this? I’m not sure what to think! 8. Intriguing historical fiction hits shelves this fall. October 2: Patti Callahan Henry’s Becoming Mrs. Lewis, about C.S. Lewis’s wife Joy Davidman. October 9: Kate Morton’s The Clockmaker’s Daughter, a tale of art, love, and murder set in contemporary London and 1860s Oxfordshire. October 23: Sarah McCoy’s Marilla of Green Gables imagines Marilla’s childhood and life at Green Gables before Anne. I can’t wait. What did you learn in April? OMG I always loved Prince but now I love him even more. It just shows his housekeeper was a real human being to him, not just some servant. Your DC lessons make me so happy as a DC resident! 🙂 The cherry blossoms were truly stunning this year – I was so glad they had a few good weeks because an badly timed snowfall killed them early last year. And isn’t the Library of Congress incredible? I fairly salivated the first time I visited! I’m glad you got to the Library of Congress! I worked there for 30 years before moving back to the Midwest. It truly is a work of art and should not be missed. I was also fortunate to see the cherry blossoms on my way to work everyday and never tired of them. They are magical! Love your posts! That’s fascinating!! What did you do there? I worked in the Geography and Map Divsion for 30 years … most of the time as map reference librarian. We were surprised at the beauty of the Library of Congress too. I’d like to go back and spend more time there. I don’t think I’d be a fan of premarked-up books. I’d have to see it to be sure but what if what’s marked doesn’t ring true with me? I wouldn’t want a -remarked book either. My very angry at the moment self jumped in with “Don’t tell me what I need to underline/think. I can decide for myself thanks very much.” It was so nice to hear someone say it calmly. Wow I am not a fan of that underlining / highlighting trend!! It pains me to see books marked up ha. In all the times I’ve visited DC, I surprisingly have never seen the Library of Congress, either. It looks stunning. I completely agree. I dislike the Kindle setting that shows others’ highlights. And because I am stubborn like that, I will not highlight something that has been marked up by a lot of people before me. If you go into settings, you can turn OFF others’ highlights. I did that because I don’t want to see others’ highlights in print OR in e-reader form! The pre-highlighted books sound dreadful. I turned that feature off on my kindle because I felt like someone else was interpreting the book for me and I was unable to just read it and form my own thoughts. This is so me too! I had to turn them off, because I found them distracting and then I didn’t want to like that particular part of the book. Haha. I made my angry comment about premarking in the thread above. I couldn’t agree more. DC has long been on my list to visit! Note to self: go when the cherry blossoms are in bloom. I would be annoyed at a book that was already highlighted and underlined. It would be really distracting to me, especially when I’m trying to read and take in a book for the first time. I DO want to know, and YAY!! Did you get a Library of Congress card just for funsies?? I have to confess, we ended up in DC at peak cherry blossom time (coincided with a business trip) and, although the blooms were beautiful, the crowds freaked us out and we said “never again.” On the marked-up books, I wouldn’t mind buying one of the special annotated editions where the author makes comments about what they were thinking, etc. But I really don’t like this idea otherwise. I always turn the “most commonly highlighted” feature off on my Kindle app… Hope you have a great week! 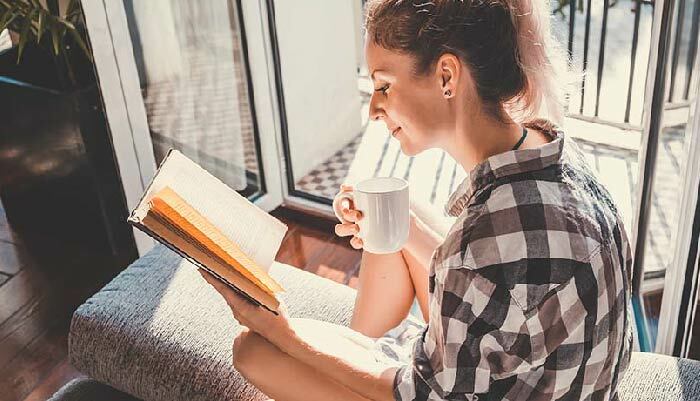 Have you read Surprised by Joy by C.S Lewis , the story of how Lewis and Joy Davidman met, tell in love, and of her conversion to Christianity. Like Lewis, she was an atheist before that. Interesting story. Yes but not for years and years. I’m tempted to revisit knowing this book is coming out in the fall. I have lived in the DC area for over 30 years and find Spring to be the best. So glad you enjoyed your time here. While the cherry blossoms are a sight to behold, other flowering bushes and trees are equally beautiful. My redbud is gorgeous this year. Haven’t yet read a “marked-up” book, but not a fan. I like making my own markings and notations for thoughts that strike me. Underlining is in the eye of the reader! I always forget how beautiful the cherry blossoms are until someone mentions it…. 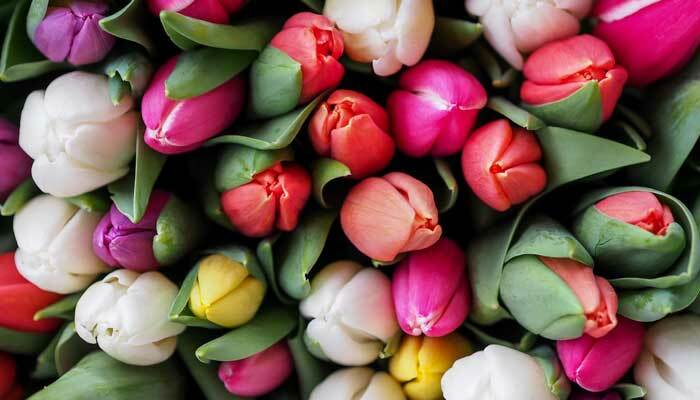 and that smell… SO lovely! Don’t like “pre-marked” books. Wouldn’t buy one if I knew in advance that it was done that way. I want to make my own notes. That said, I sometimes like to read a book that a FRIEND has marked up – just to compare our thoughts. But I would read it unmarked first, then theirs…. Regarding already marked up books: I am all for making marks and notations in books. 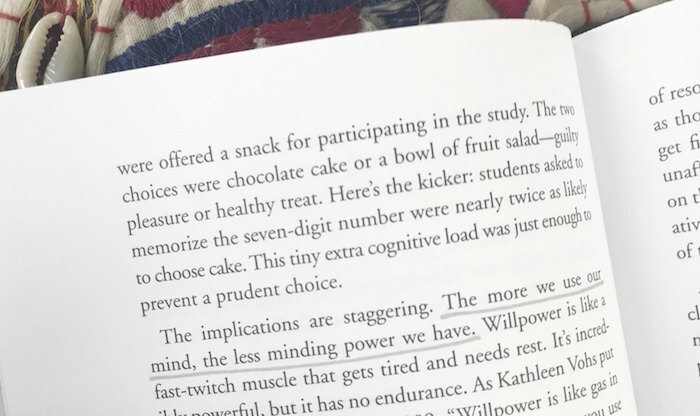 The tactile process of marking and notating makes connections for me when I am reading. I am sure the author wants to draw attention to particular statements with this pre-marking strategy but I would prefer they didn’t. Use bold text or italics, but let me mark my book myself! It seems that we were in DC at the same time … I could have walked past you down at the Tidal Basin! The blossoms were simply stunning! No underlining! Let me decide what stands out to me and what I want to remember, thankyouverymuch. I commute 45 minutes to work each way and I get so much “reading” done during that time with audiobooks. Over the past two weeks I’ve finished re-reads of the first two Harry Potter books. Thanks for recommending the Jim Dale editions on your podcast, they’re wonderful! 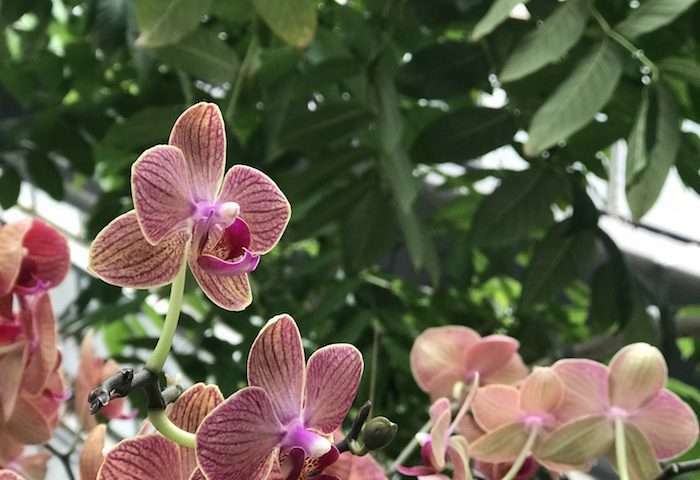 One thing I learned in April (especially being a New Englander) is that while it may seem like spring is NEVER ever going to come; it will come and it will be amazing! Thanks for the heads up on the books coming out- they all sound fantastic!! Pre-marked up books sounds like a bad idea…. I did not know there is a new Kate Morton book coming out this Fall. YAY!!! Thank you for sharing that. And I think the word you were looking for is “topiary” – bushes pruned in the shape of animals. Pre-printed marked up books would drive me insane! Especially if the lines were wobbly or not neat. ( I use a ruler to underline in my books. I know!) I’ve even taken the time to erase the underlining in books I buy used. In most cases, I don’t care to see what’s important to other readers while I’m reading and forming my own opinions about a book. Afterwards, I love to discuss books with other folks and to see their books marked up and flagged. PS It took me forever to get to the point where I’d mark up a book in the first place. ? I lived in DC for a number of years and went back just last week to visit. Unfortunately pretty much all of the cherry blossoms at the Tidal Basin are gone, although there are still cherry blossoms blooming at various places around the city. If you have to have a long commute I think commuting by public transit is the way to go so that you can have your hands and mind free to read. My metro commutes taught me than my Kindle was indispensable. When you’re jam-packed into a metro car it’s hard to have space and hands free to turn pages; it’s so much easier when you can hold you e-reader in one hand and press a button to turn the page. Also, if you’re ever in DC over the summer, check out the Kenilworth Aquatic Gardens. It’s a gorgeous, off-the-beaten path garden of lily pads and lotuses. That Prince story was fascinating!! I learned how to cook and flavor farro this month. It’s absolutely delicious, and a good alternative to pasta since my husband has been on a diet! LOL. I haven’t been to every building in DC, but I’ve been to many and I think the Library of Congress is the most beautiful of the bunch. Was anyone else tempted to just lie down on the floor and stair at the ceiling? I didn’t, because I’m classy like that, but I was tempted. We are planning a trip to DC this summer. Any suggestions on where to stay in the city? Thanks! The standard memorials are well worth visiting. 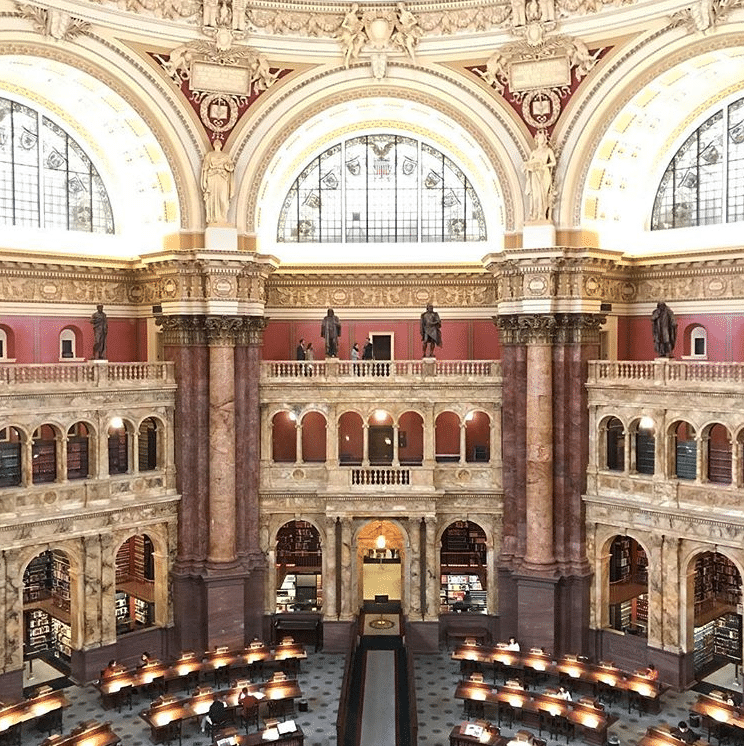 Definitely the Library of Congress – take the tour! Use the tour mobile to get around … Arlington Cemetery is worth the tour mobile ride-great view of DC from there. The Smithsonan building are great but can be overwhelming … reasesrch which ones you want to go to beforehand. Also they are GREAT restaurants just north of the mall a couple of blocks near the Capital One Arena – just up from the National Archives. If you are into art … The National Art Gallery is fantastic – good restaurant in the basement! Enjoy DC – it is a great place to visit! We wanted to stay in the city and waited too long to find anything to accommodate our large family. If you find a great place I’d love to hear about it. My first experience with books marked up by the author/publisher was with The One Thing, as well. I do not like it at all. I want to make my notations and marks without being influenced by what someone else thinks is important. Not a fan of buying pre-marked books, BUT I got a “happy accident” for my birthday. My best friend “gifted” me one of her favorite books – AND, I hit the jackpot because she gave me her “marked up” copy!’ While she offered to give me the clean copy, I declined. I LOVED reading her notes and seeing her insight. Best.gift.EVER. Sounds like a delightful month! My travels took me to Gettysburg and Harper’s Ferry, and I learned SO much! I can’t wait for Marilla of Green Gables!! That sounds like a lot of fun. I used to ride the bus to work when I lived in NYC and LOVED that time to read! I still remember reading the paperback version of American Psycho and worrying people on the bus would judge me or be completely horrified if they were reading over my shoulder (which happens a lot when people are standing over you on the bus or subway). Ew to the pre-marked books. I don’t mind marking up my own books, and it can be interesting to see what another reader thought (anecdote: my little brother had to read a biography for his English class and their teacher MADE them write notes in the margins. Reading that was HYSTERICAL). But to me it feels like lazy writing to publish it that way. If you can’t communicate what’s important without highlighting it, you need to work on your writing. When I toured the LoC a few years ago, the tour guide tooks us into a room that overlooked the famous reading room. I was so overwhelmed by the sight that I started to cry. Non-readers would never understand! I don’t want previously marked up books! What happens when something that means something to me isn’t marked or something IS marked that doesn’t strike me as much? Then I’m left wondering…what am I missing? I’ve never been able to look at bonsai trees the same way since I read the poem “A Work of Artifice” by Marge Piercy in 12th grade. They’re pretty though.